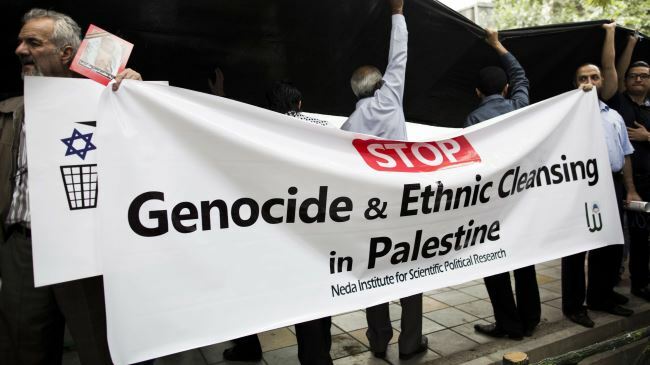 JNN 15 July 2014 Tehran : An Iranian parliamentary delegation is scheduled to visit the Gaza Strip in a show of sympathy with the Palestinians facing Israeli atrocities, an MP says. “A parliamentary delegation will be dispatched to Gaza Strip to express sympathy with the families of Gaza martyrs and deliver donations from the Iranian people to the residents of this region,” Hassan Kamran said on Tuesday. He added that the parliamentary delegation’s visit to Gaza is taking place within the framework of a piece of legislation adopted by the Parliament’s Foreign Policy and National Security Committee. Kamran said 14 lawmakers have so far registered to travel to the besieged Gaza Strip. Earlier, Iranian Parliament Speaker Ali Larijani called on Muslim countries to stand united in the face of Israeli atrocities. Larijani was speaking in the parliament after Palestinian Ambassador to Tehran Salah Zawawi and Khaled al-Qaddoumi, the representative of resistance movement Hamas in Iran, briefed Iranian parliamentarians on the latest developments in the Gaza Strip. Nearly 190 Palestinians have so far been killed and some 1,300 others injured since Israeli warplanes began a fresh wave of airstrikes on Gaza on July 8. The UN says nearly 80 percent of casualties have been civilians. Despite international calls for an end to Israel’s bombardment of Gaza, Israeli Prime Minister Benjamin Netanyahu said recently that the Tel Aviv was hitting Gaza “with growing force” and that there was no end in sight. This entry was posted in Iran News and tagged Gaza, Gaza Strip, Irani Parliamentarian ], israeli aggression, parliamentary delegation, Soldiarity with Palestinians. Bookmark the permalink.